The classic picture of Nepal includes huge mountain landscapes featuring icy peaks against a crisp blue sky, and possibly a yak or two. We love this picture, but we like it even more when there is a mountain bike coming down the trail! Most people think of trekking when it comes to outdoor adventure in Nepal, but did you know that mountain biking is the fastest growing sport in this incredible country? In the early days, the few bikers all knew each other and rode together each weekend exploring the Kathmandu Valley and taking occasional longer trips. Now the biking scene has grown such that on any given Saturday you can see people riding everything from a flashy new bike, to an old iron horse - but all with the same goal to enjoy the freedom and the joy of a great ride. Biking in Nepal may be evolving at lightning speed, but the trails are ancient and there is a mind boggling amount of them! No-one can know how many kilometers of trails are out there waiting to be discovered, as the whole country is criss-crossed with walking trails, beaten smooth by untold generations of feet, walking across the valley or across the country for trade, festivals or family visits. Some of our favourite areas are rugged and truly wild with no easy way 'out', while some are close to town and offer almost limitless variations on the ride - from a day to a week or more, in stylish hotels or roughing it in tea houses or camping. With so much to choose from, it’s hard to know where to start, so here are our top 5 mountain biking destinations in Nepal. Are you looking to organize an epic mountain biking trip? 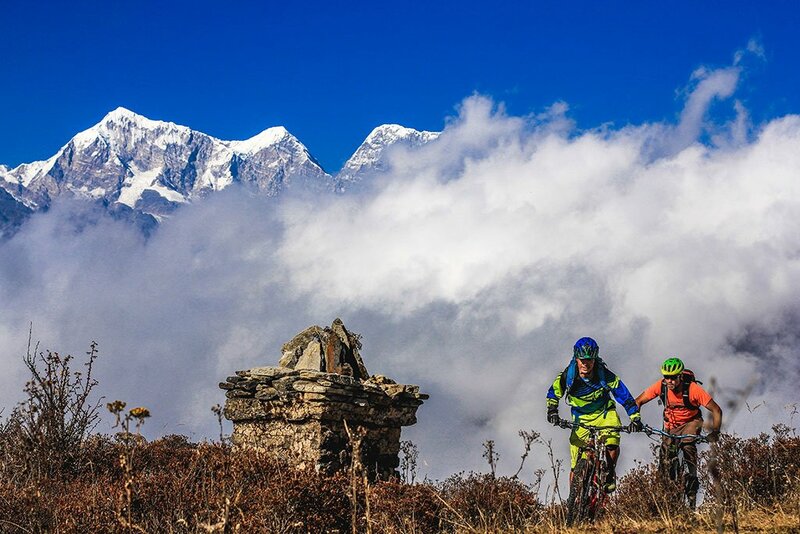 We work with the top mountain biking specialists in Nepal. Get in touch now to start organizing your adventure. This is where it all began. 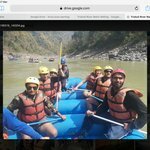 The Kathmandu Valley is suitable for day trips from a comfortable hotel, or longer and more rugged adventures staying in less populated places. Highlights - diverse cultures, flexible itinerary and riding style, some really brilliant trails no matter what your style is. Another classic, for those who like the touring style of a biking adventure. Never too far from civilization, you don’t need to carry much gear and can stay in simple tea houses or guest houses along the way. Highlights - diverse cultures, point-to-point journey, the amazing mountain scenery of Nepal's 'mid-hills'. What happens when the roads come into a trekker's paradise, bringing the villagers much needed access to markets, health care and education? Travellers can maximize their holiday time by getting farther away from the big centers in shorter times - ie, get to the fun faster! You once needed 21 days to experience this stunning area, but now you can jeep and mountain bike in about 11 days (or take more time if you can, it’s worth it). Highlights - mind-blowing scenery, diverse cultures, some incredible trails (some hike a bike or porterage required), point-to-point journey. Brought to the world stage by the Anthill Films crew in Strength In Numbers and again by Red Bull in Where The Trail Ends, this area is a biker’s mecca. Lower Mustang is accessible and there are so many great trails that you can custom make every trip - from about 5 days up to 10 days - and still be having fun. Upper Mustang is very remote and is also a restricted area (making it expensive as you need a permit), but the extra cost is well worth it as you can visit the ancient fortress city of Lo Manthang and ride the dirt that the Red Bull crew searched all over the world for. Highlights - the scenery is truly spectacular, the culture is astounding and the trails are unforgettable. Details about mountain biking in Lower Mustang can be found here. You can fly in or take a jeep for point-to-point or day trips. Mountain biking in the Everest region is very flexible in terms of trails and customized options and you can bike in view of Mt. Everest itself, while experiencing the legendary hospitality of the Sherpa people of the Everest region. Ready to go your adventure? Get in touch now with our top Nepal Mountain Biking specialists to start organizing your adventure. I was met at the Kathmandu airport by Raj as promised. He had a cab waiting for me, and I was taken quickly to my hotel. After I settled in, Raj introduced me to Dawa who was to be my guide for the trip. Dawa proved to be an excellent guide. He was courteous and knowledgeable. Also, Dawa was very patient with me, as uphill riding is not my strong point. The next morning, our first ride was through parts of Kathmandu and up to the Shivapuri National park. I was able to see parts of the Nepalese culture that most tourists don't see. The ride in Shivapuri was fantastic, and I actually saw some monkeys among the trees. That night we stayed in the Shivapuri retreat where we had a nice meal of Dal Bhat with tea. The next morning, we rode back into the Shivapuri forest, and hit some awesome mountain biking trails, making our way to Bodinath. We spent time at the Stupa until the car came and picked us up to catch our flight to Pokarrah. On the following day, we flew from Pokarrah to Jomsom for the center piece of the trip...Mountain Biking the Lower Mustang region. Once we got to Jomsom, we rode our bikes up the Kali Gandaki river to the village of Kagbeni. We stayed in a tea house in Kagbeni for 2 nights and for two days rode bikes on through some amazing high desert terrain. After the stay in Kagbeni, we turned our bikes down the river course to back to Jomsom. One night in Jomsom, and then back on our bikes to Kalopani. Riding down the river course took us through several small villages that reflect the real Nepal. Truly a great experience. After leaving Kalopani, there was one more big ride to a point some 25 km down stream where we were met by a Jeep to take us back to Pokarrah. Through this entire trip, everything was well planned out and prepared. The hotels, the flights, the ground transportation, nothing was overlooked. I was well taken care of. My guides, Dawa and Tendu were superb, and basically just good people to be around. The coordination and professionalism of all of the guys who handled my trip made it a great success. I will be going back to Nepal, and I will use this crew again. Many thanks to Dawa, Tendu, Raj, and Mads! !